We are very reluctant these days to step out of the cool comfort of our house or office and walk towards our parked car ,,, the reason being its month of June, temperatures hovering around 46-48 degrees and rising mercury levels that parch our throats every time we step outside. Its that time of the year again, when the summer sun is shinning down on us and our bodies burn. Ragi Majjige is what we opted today, a healthy choice instead of regular popsicles and icecreams to quench our thirsts and keep ourselves hydrated. 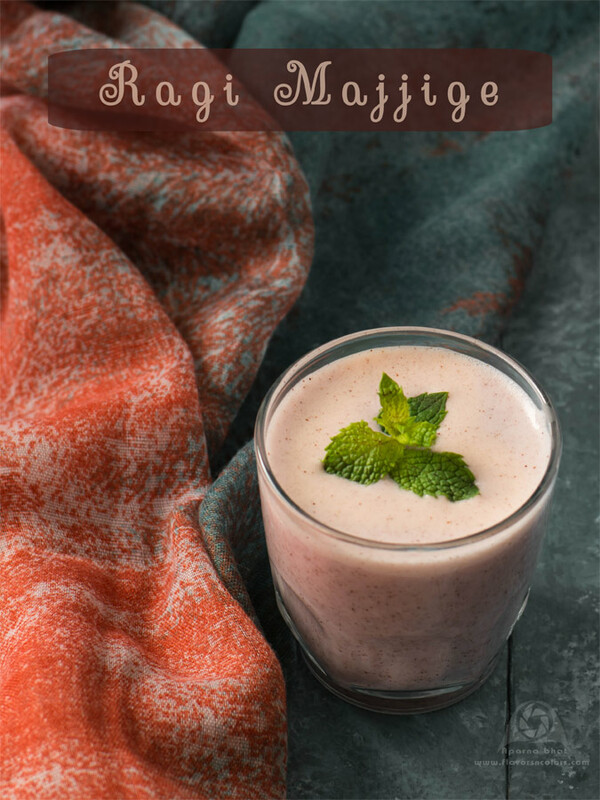 Ragi Majjige is a healthy drink, quite famous in Southern part of India. 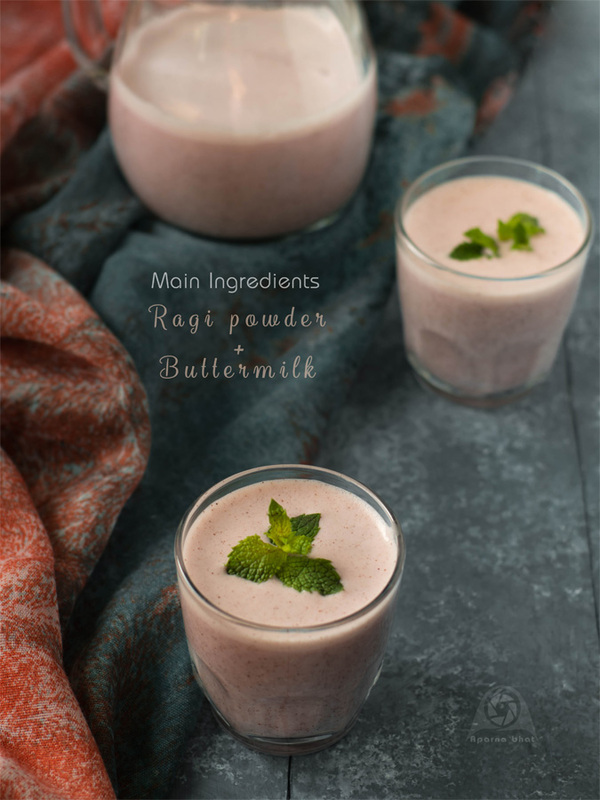 It is also known as Ragi Ambli in other South Indian languages. 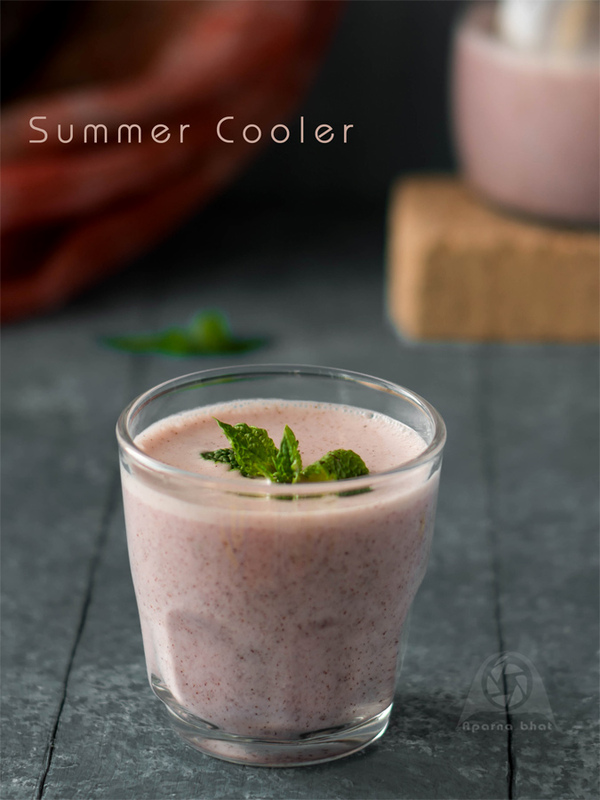 You can read about this drink in an article which quotes it as a popular street food helping the common man of Bangalore combat the heat. Below is a simple recipe for this body coolant drink that can be prepared from ingredients easily available at home. Mix flour in 1/4 cup of water and make a smooth paste without any lumps. Heat the remaining 1/2 cup of water and let it come to boil. Once the water comes to a boil, add ragi mixture gradually into boiling water. Continue cooking this mixture stirring at frequent intervals. Let it come to boil and then simmer the flame for 3-4 mins. Switch off the flame and allow the mixture to cool down. Keep stirring the mixture frequently to avoid a dry layer forming on the surface. Once it is cooled completely, add roasted cumin powder, salt to taste and buttermilk. Mix it well. [You may transfer this mixture to a blender and give it one spin. You may choose to add more water at this step to adjust the consistency of this drink as per your liking] Chill for a few hours and garnish with coriander leaves or mint leaves before serving. You may also add chopped curry leaves and finely chopped onions to make the drink more flavourful.